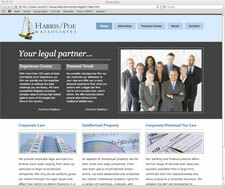 Check out these examples of our website work. 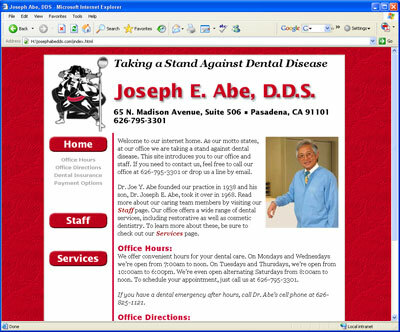 After producing this client's print newsletter for years, he decided to have us create a website for him as well. 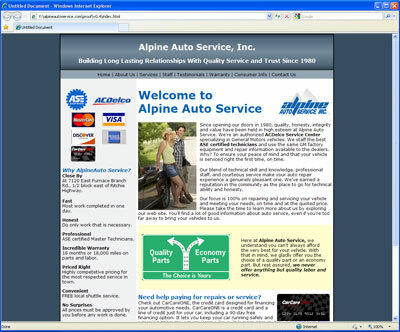 The site includes a way for customers to request an appointment online, web-based specials, and even enter contests. 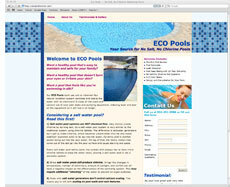 We built a website for this client's water treatment company many years ago, so when he started a pool service company, naturally he came to us. 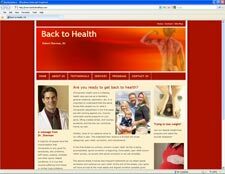 We built the site so it would coordinate with his water treatment site, BetterWaterQuality.com. 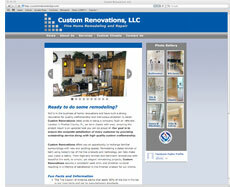 Another client in the home improvement market, they originally had a site, but it was in need of a total overhaul. We not only completely redesigned the site, but also recommended an additional domain name to help with SEO. 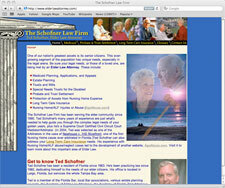 Their site features two different types of image 'sliders' to showcase their work. 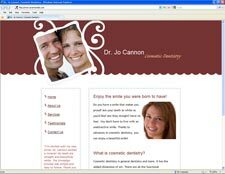 After creating a site for Darlin Publishing, the publisher also requested we re-design the site someone else had built for their ministry. 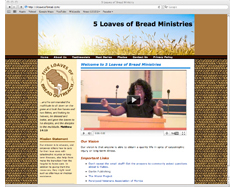 This site incorporates social media, including embedded videos and a photo gallery. 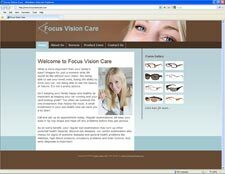 Upon seeing the site we made his friend, Dr. Wintrob, this optometrist wanted to do the same thing, along with additional sites to promote other aspects of his practice. 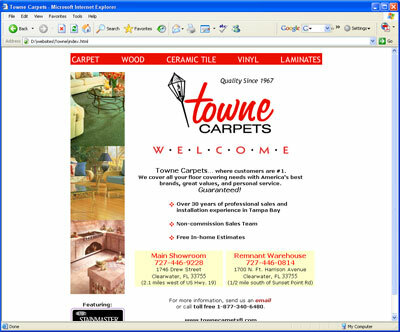 Ultimately, we secured 17 different domain names. 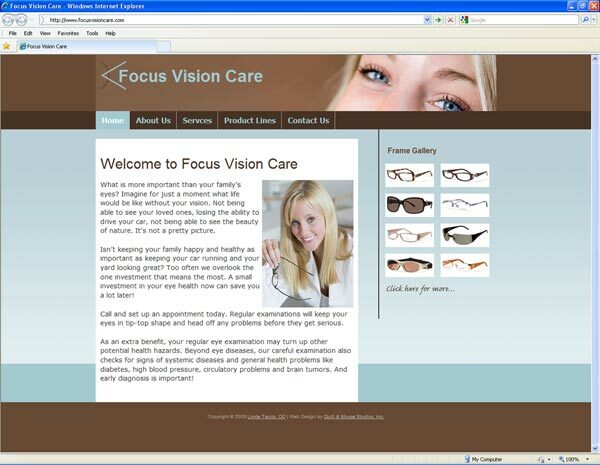 Most are aliases that point to one of the four master sites: RummelEyeCare.com, LowVisionNJ.com, Vision TherapyNJ.com, and NeuroOptometricRehab NJ.com. 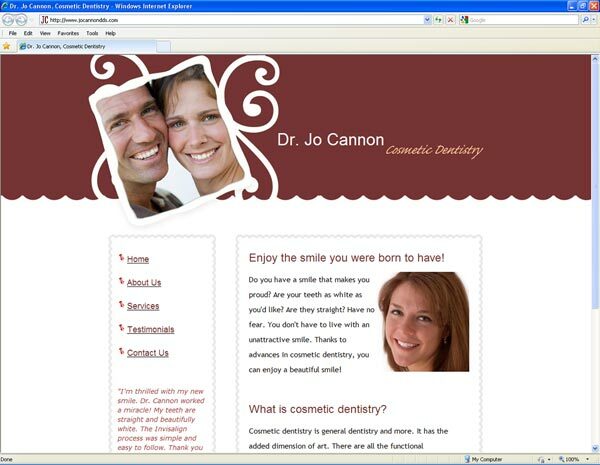 Dr. Wintrob encouraged Dr. Rummel to use his same website look and content as we created for him. We started there, but made some tweaks to the content to better reflect Dr. Rummel's practice. 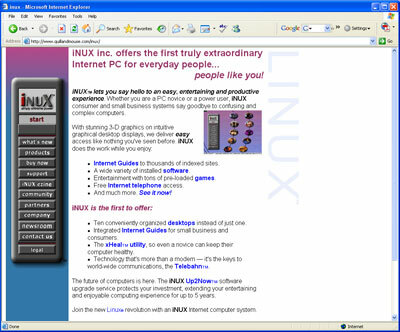 For continuity, all four master sites have a similar look and feel, but each has its own color scheme to give them a unique identity. 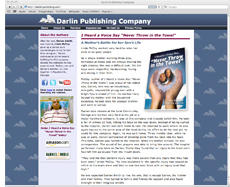 This small publishing company needed a website to go along with media coverage to promote their book and its inspirational message. 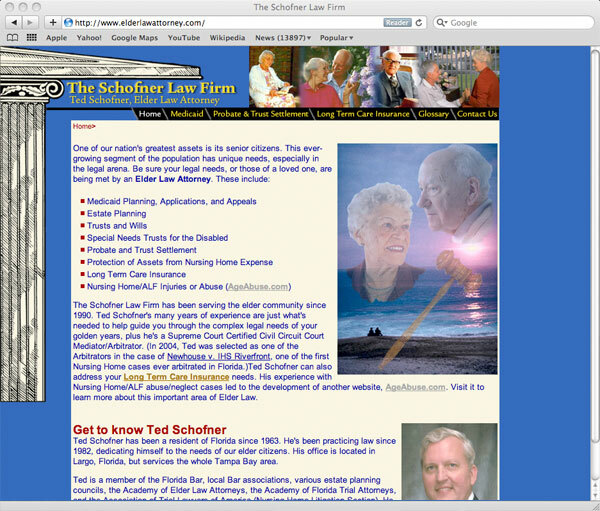 We built their original site, and then more recently updated it to include links to social media and numerous photo sliders. 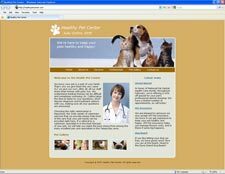 We wrote custom blog software using PHP for the backend of this site. 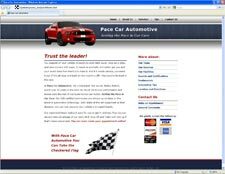 It's a very large site that includes 300 pages of reference material (with more to come) on top of the various blog posts. 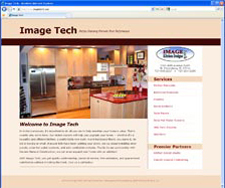 This client was new to the Internet and wanted to start with a simple, single page website. 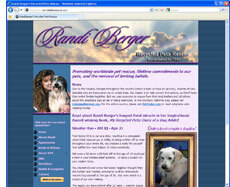 It was designed to be able to easily expand to a larger site and has so far added a couple more pages. 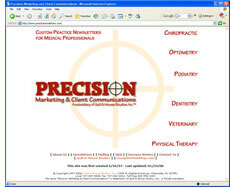 The form provides a way for prospective clients to request a free water test or a free article. 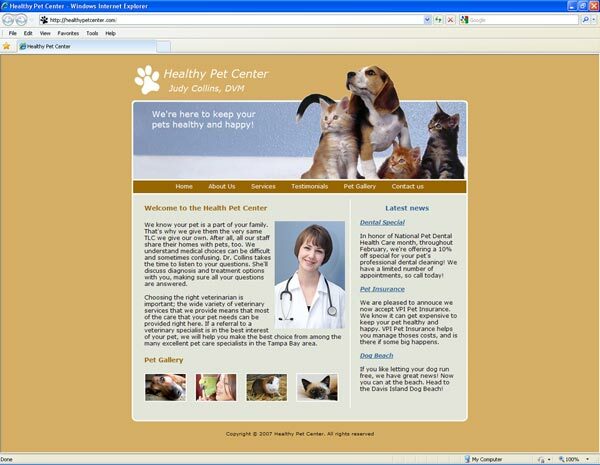 This non-profit organization already had a website, but the group's founder wasn't happy with it. 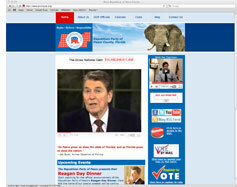 We took it over and did a complete re-design of the whole thing. 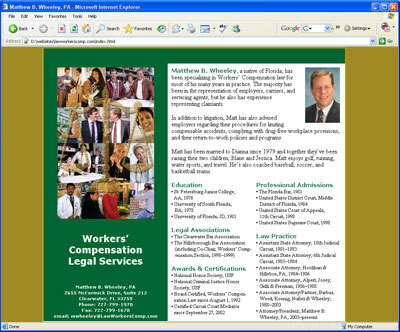 It's quite a robust site of 18 pages and utilizes a fly-out menu along the left. 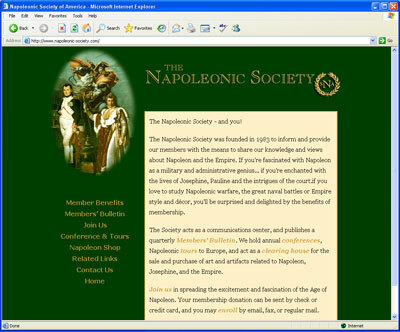 In includes a link to PayPal for making donations. 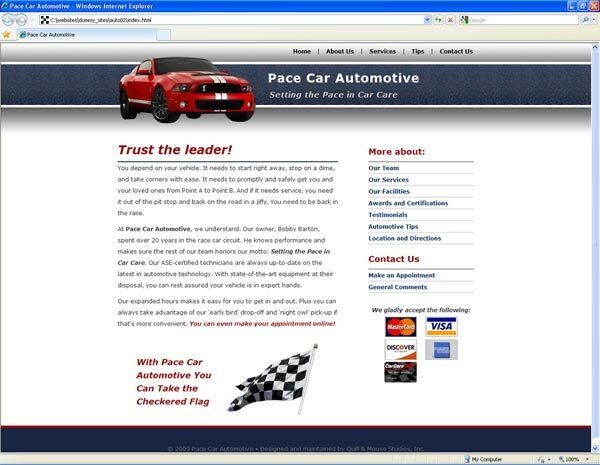 This client, after having us redesign an affiliate site, asked us to redesign their corporate website. 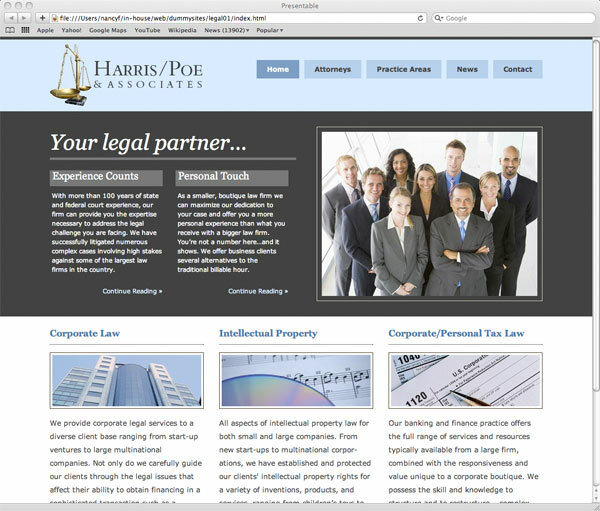 It's a somewhat large site with 20 pages and a couple of PHP forms. 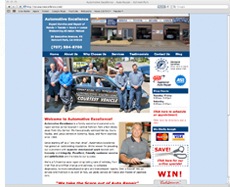 This newsletter client asked us to redesign their existing website. 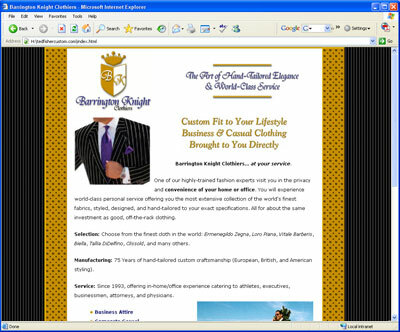 It contains five pages and a website coupon. 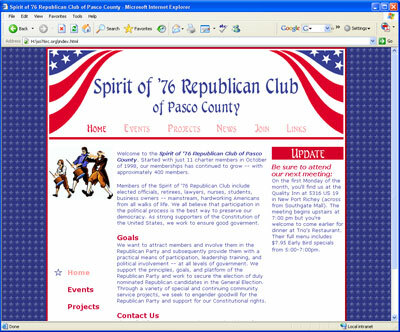 This site for a regional political party was very busy during the 2008 campaign season. 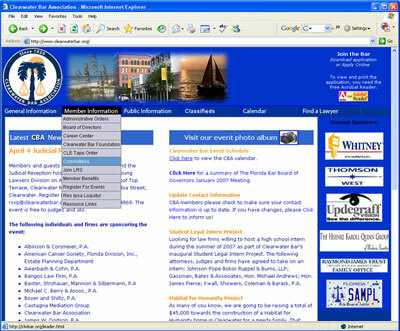 The custom calendar feature on this site got a lot of heavy use, and continues to be an important and popular feature. 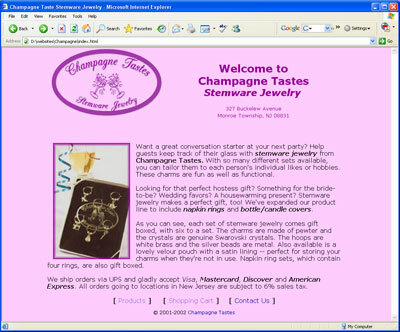 There's also a simple shopping cart for making donations. 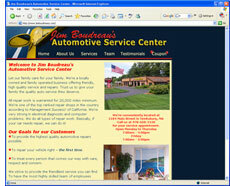 In 2011, we added a blog to the site and redesigned the site, and added social media and video links. 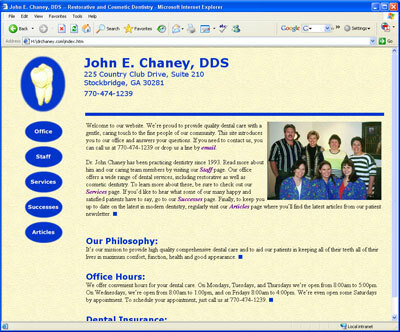 On top of company and organizational sites, we can create personal websites. 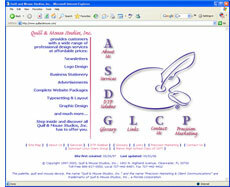 This site for an individual has grown to 23 pages and contains many custom graphics. 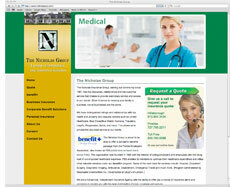 This site for our subsidiary company generates the majority of leads for the company and is the main marketing tool. 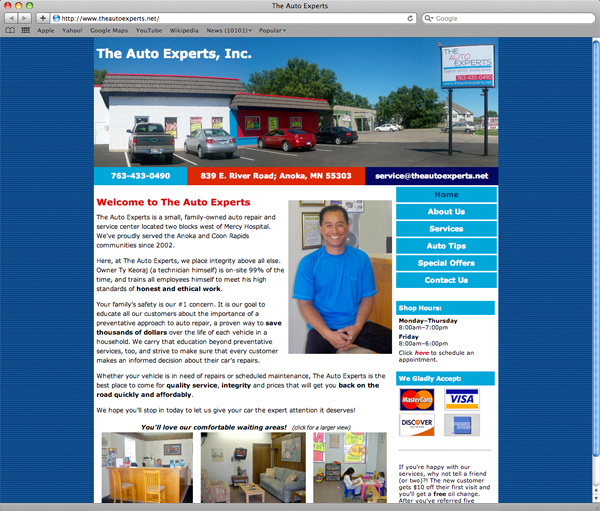 At only 15 pages, it shows a site can be very effective without being huge. 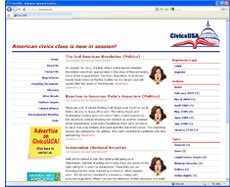 A new version is currently in production. 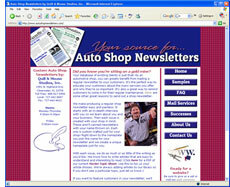 This is our site dedicated to creating newsletters for automotive service facilities. 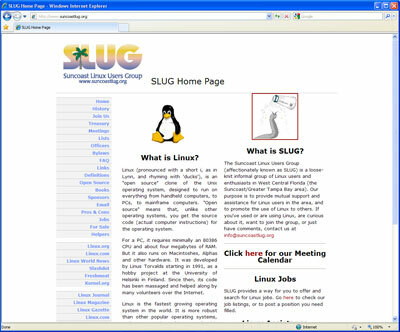 It contains 10 pages, but will be undergoing an update shortly. 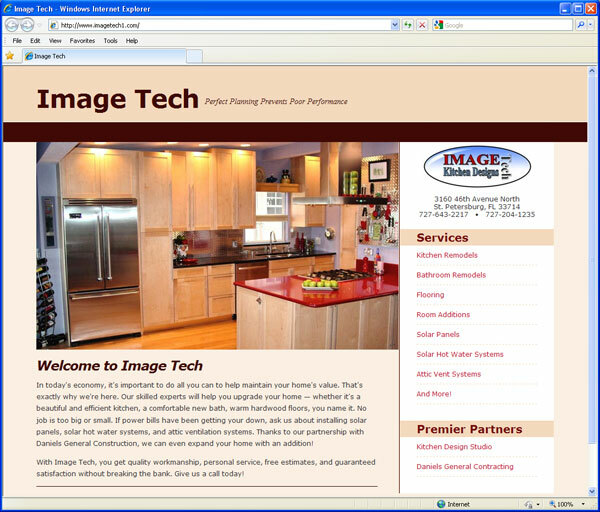 This is our company's main site and original domain. 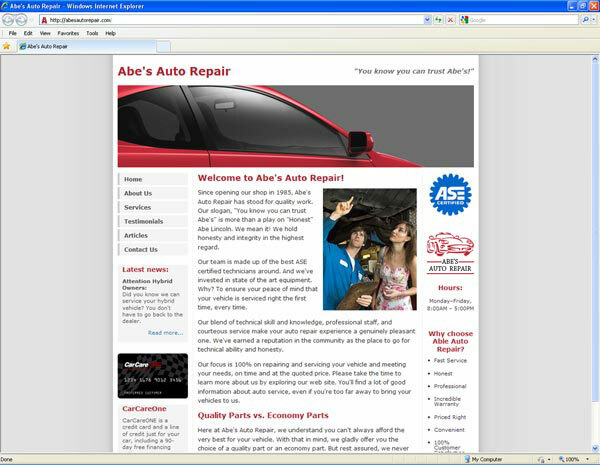 The current site is several years old and is currently undergoing a complete re-design and update. 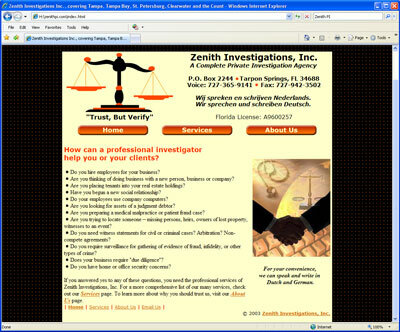 If you have further questions or are ready to get on the web, visit our Contact page.